It was a particularly bad day. Tempers flared. Tears spilled. Angry words were spoken. It was on that day I decided I needed a refuge: a musical one. I created a playlist that would speak God’s beauty and truth to my heart on days that spin in turmoil. A calm space to hide, if only on the inside, in the midst of life’s upheaval. 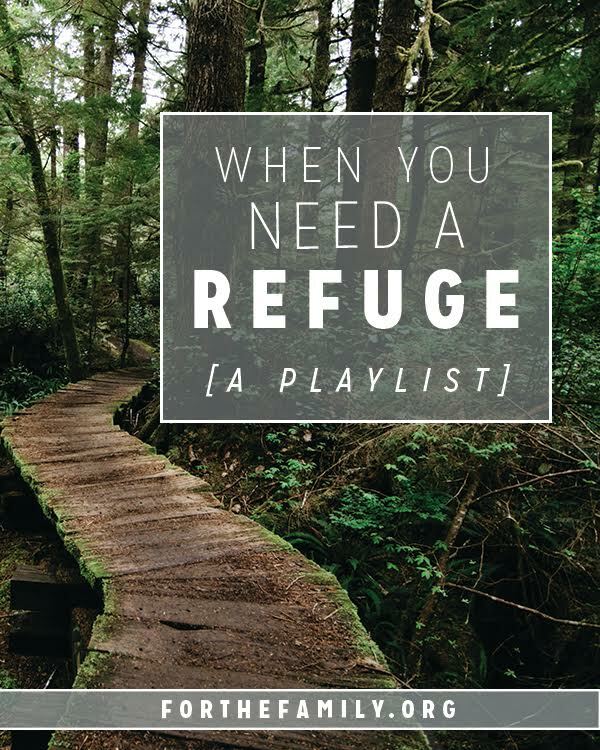 I'm over today at For the Family sharing a playlist of songs for when you need a refuge.